Dear Friday, I thought you'd never come. I longed for you day after day, and here you are. Like a beacon shining brightly onto my soul, you bring hope.OK, enough with the drama. But seriously, I'm glad all that separates me from freedom is a 9ish hour work day. I need some Zen in my life today, so I'll probably be hitting the yoga mat later tonight. I also plan on getting some major outdoor time this weekend. I hope I get my wine crate coffee table finished, but that may not happen. I tend to get sucked into reality TV without realizing how much time has passed. Aside from being hectic, stressful, and sleepless, my week wasn't so bad. I mean, I survived, so that's something. 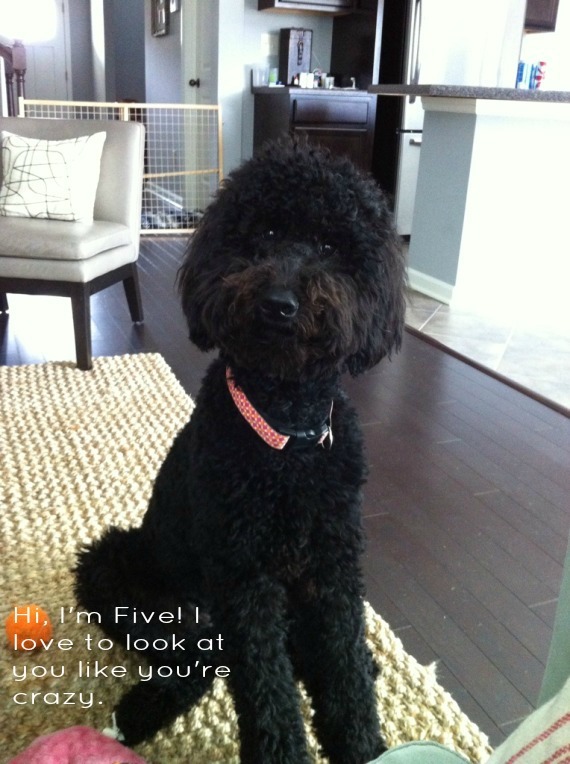 Plus, these 5 five things made me smile. Linking up with Lauren today. 1. 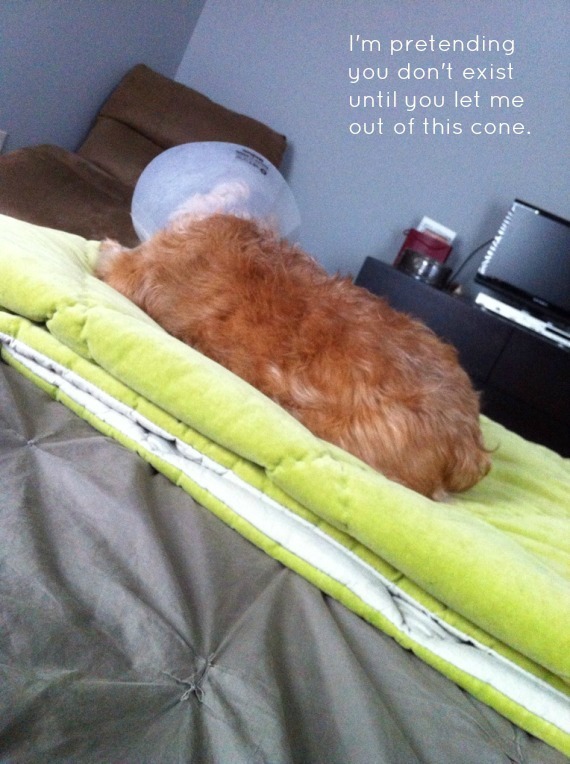 Someone is still upset about his cone. Only 2 more weeks, buddy! 2. We're getting a new ottoman! 3. Five spent the afternoon looking at me like I was a moron. Love your ottoman fabric! Enjoy your weekend outdoors! 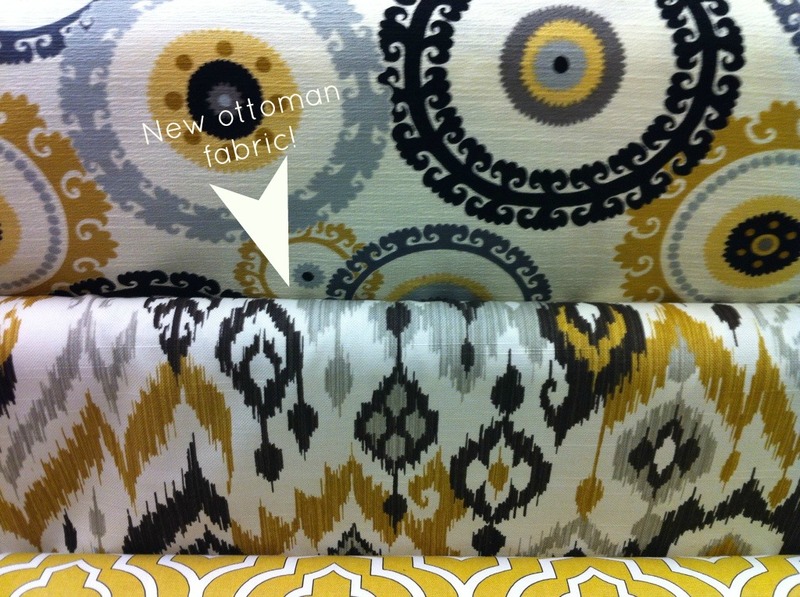 Oh man, swooning over the ottoman fabric. Its going to look awesome. Are you making it? And your cute little pups, they make me smile! ahhh wine tasting... one of my favorite hobbys! Happy Friday! Love your new ottoman fabric. Super cute. 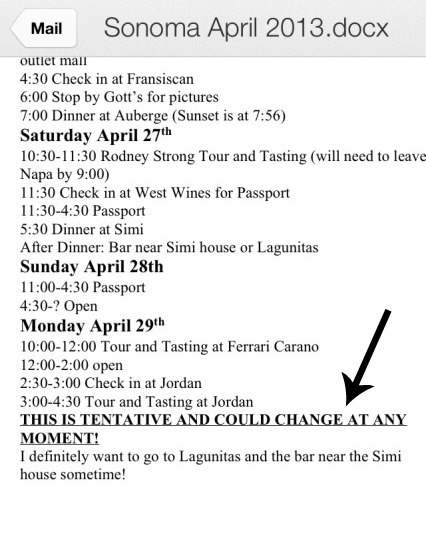 Also, I'm actually really impressed by your husband's schedule-making abilities. That's actually really detailed! My bf could never put something like that together. Haha. 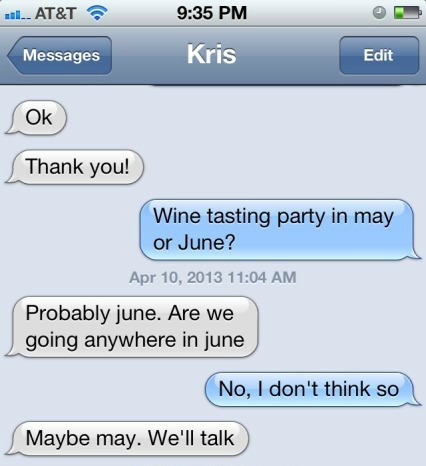 Wine tasting party? How fun!! Can't wait to hear all about.